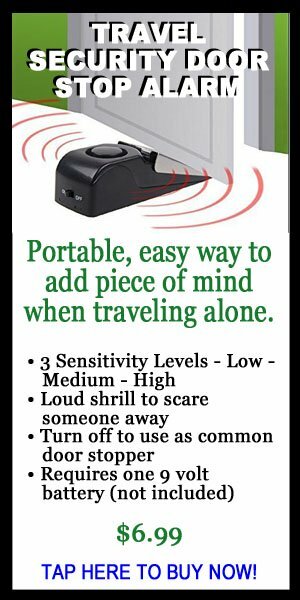 Have you been thinking about simplifying your life? When I think of simplicity, I think of the island life. Waking up to the outdoors. Enjoying the tropical sun. Eating fresh fruit every morning. I don’t have to own anything to enjoy life, including horses. But everywhere I go, if I get a chance to ride, I do. On my recent trip to Hawaii, driving from Kona to the rainy side of the Big Island, where they call it “Old Hawaii,” I found myself in paradise. 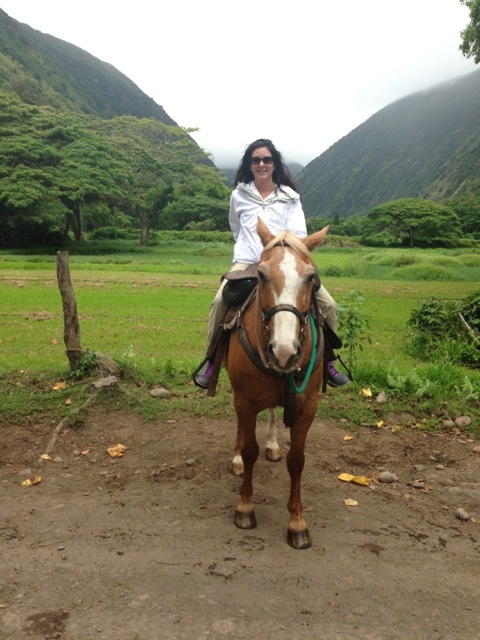 A cowgirl (Paniola in Hawaiian) for the day, I rode through the Waipi’o Valley. This rainforest, which winds its way to a black sand seashore, is surrounded by 2,000-foot-high cliffs and waterfalls lace its edges. 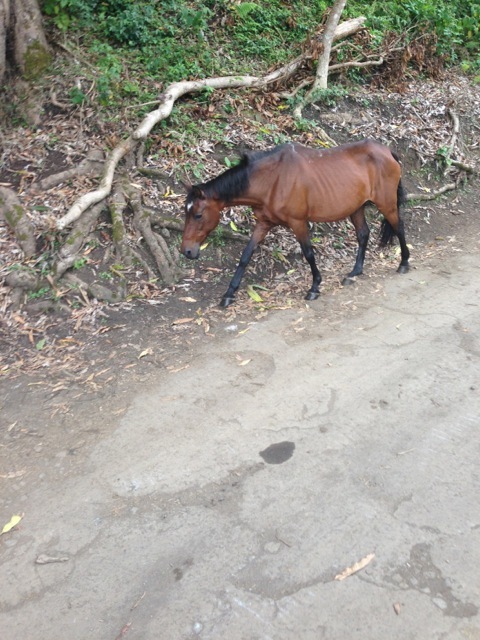 One riverbed is the only dirt road, and, as I rode my horse down it, taro fields, friendly locals and wild horses greeted me. As I watched the locals wade through the water-filled gardens harvesting taro, it reminded me of rice paddies. The natives eat every part of the taro. The root is made into poi, which is a staple for Hawaiians, much like potatoes are for the Irish. Here, this paniola felt far away from the touristy part of the culture. The locals live off their taro crops, and pick fresh bananas, mangos and papayas. And, they hunt wild boar, goats and fish — there’s plenty to eat! Their homes are small and set high on stilts, since they live along a flood plane. 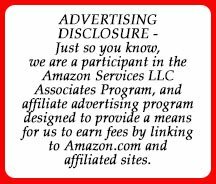 I admired their simple life off the grid — no electricity or phones. Wild horses approached for any tidbits of food. The locals told me they are too small to domesticate and ride, but are enjoyable to have around. After a day of riding, it was refreshing to shower and taste the local cuisine. The poi tasted a little pasty, but the fresh catch of the day was delicious! Every time I travel, I bring home parts of the culture that resonate with me and try to celebrate these simple joys in my own backyard. 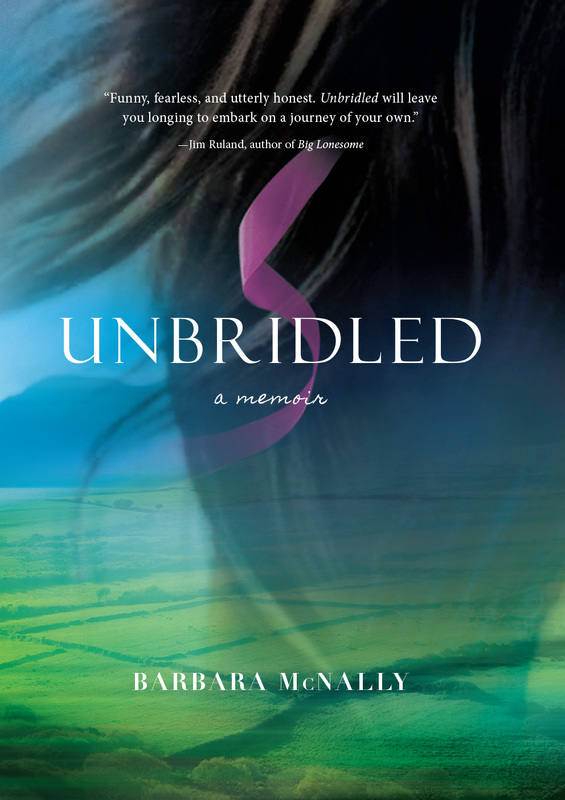 Barbara McNally is the author of Unbridled, a memoir chronicling her journey to independent and joyous living. A mother and philanthropist living in San Diego, California, Barbara is also the founder of Mother Lover Fighter Sage, a foundation dedicated to providing women with opportunities for growth and self-discovery. To learn more, visit her website at: www.UnbridledFreedom.com. You can follow Barbara at @liveunbridled or at facebook.com/liveunbridled.